I'm sure by now, most of you have seen gorgeous hair transformations of beauty bloggers, media personalities and even celebrities who joined the #hairrevolution movement. 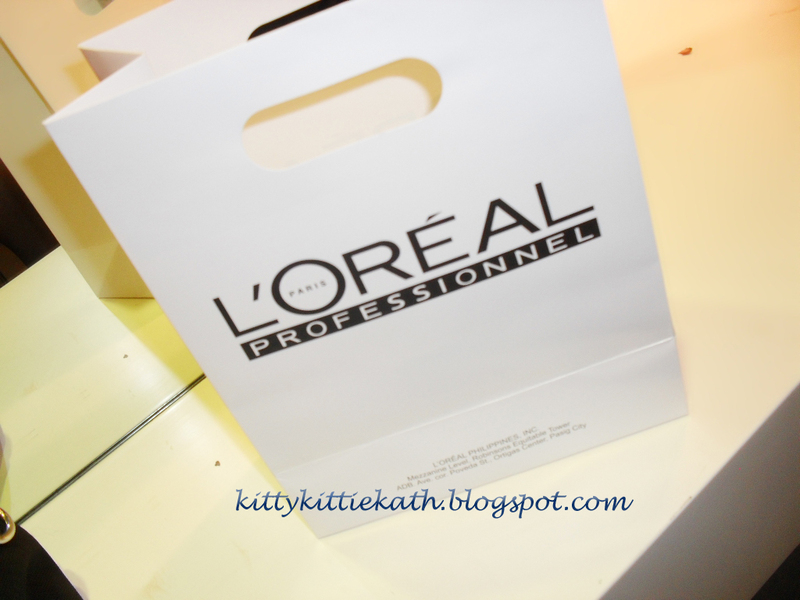 I'm very privilege to be one of the first bloggers who experienced this new smoothing service from the hair experts- L'Oreal Professionnel and Bench Fix Salon. 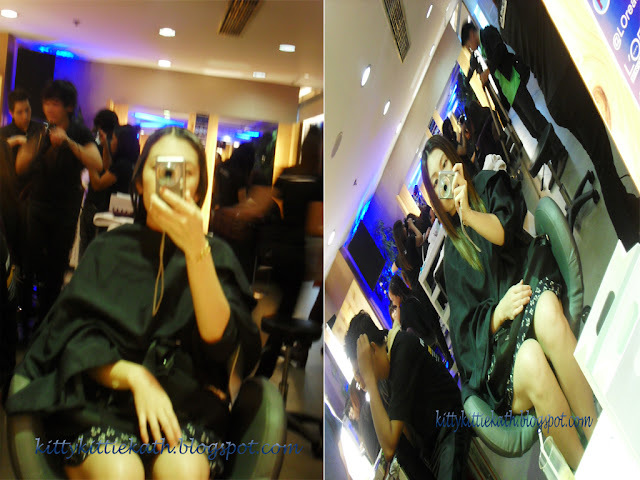 I'm lucky to get the first dibs on STEAMPOD and witnessed how this breakthrough in salon industry made dull straight hair and nappy waves into smooth, shiny and healthy locks! Three weeks ago, I attended my first event of the year and I'm so happy that our friends from Castro PR chose me to be one of their #hairrevolution leaders :) The event was held at Bench Fix Lab, Glorietta 5. We (Aya and Ina, two of my pretty blogger friends) arrived on time at the venue and registered in this area. 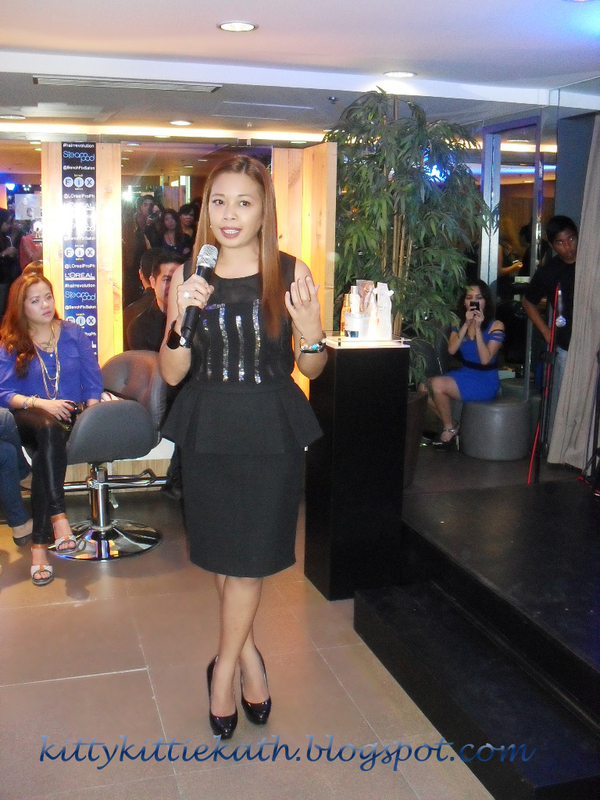 Bloggers were welcomed by the gorgeous Mikki Galang of Castro PR. 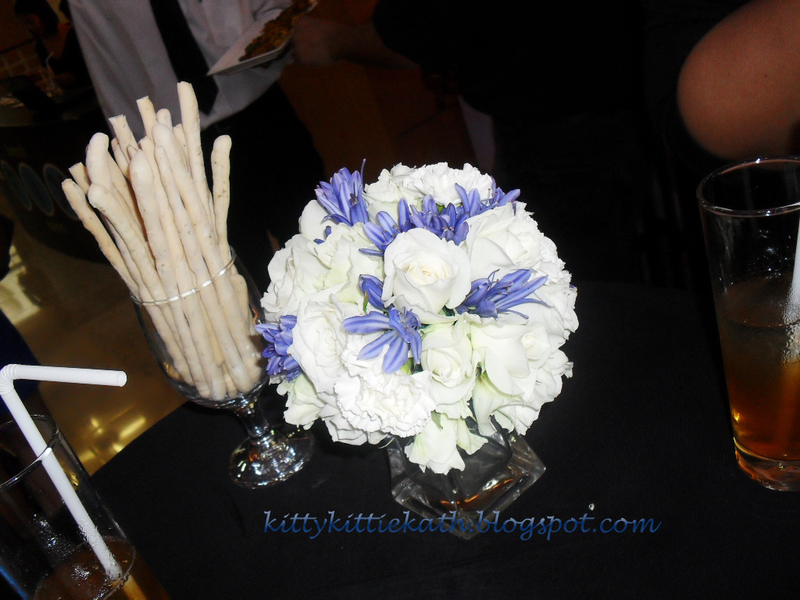 Thank you very much for inviting Dear Kitty Kittie Kath!!! Finger foods and appetizers were served non-stop! 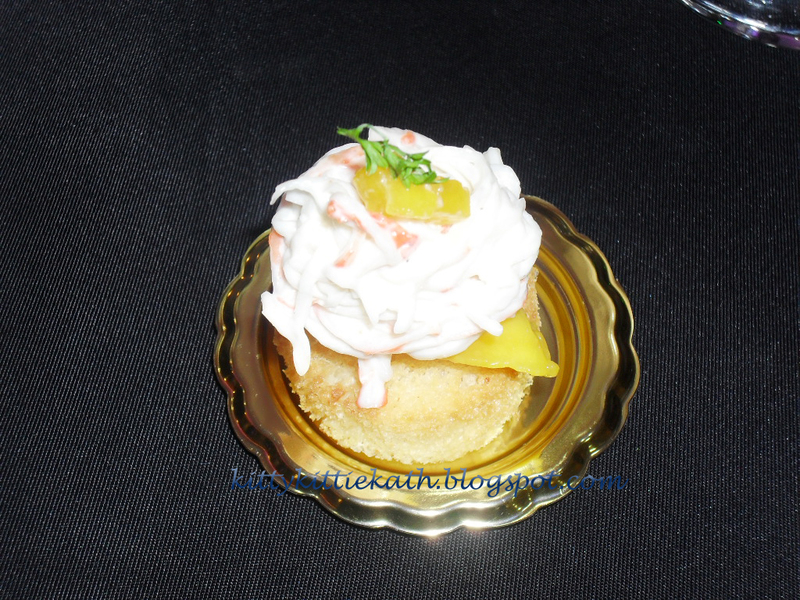 These yummy treats from Bizu satisfied my cravings that day. 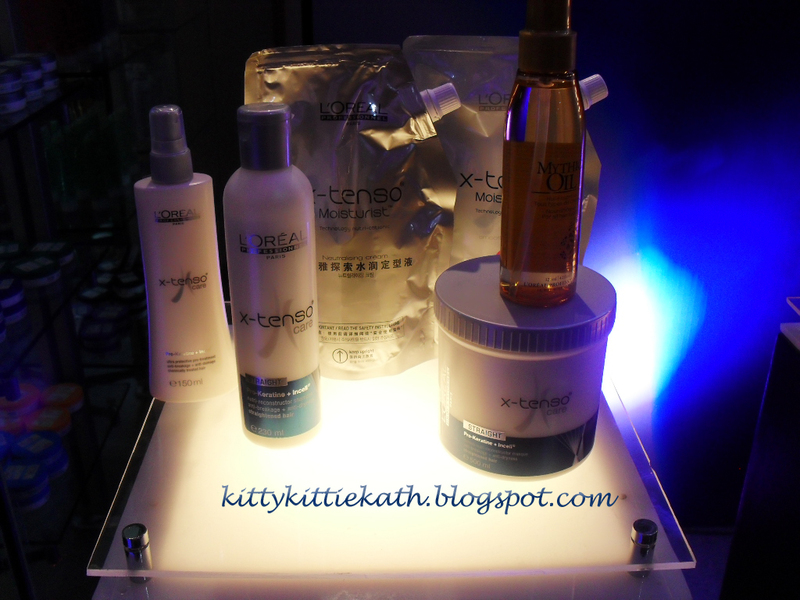 Before the program started, I got a close encounter with the Steampod and L'Oreal X-Tenso Care products. 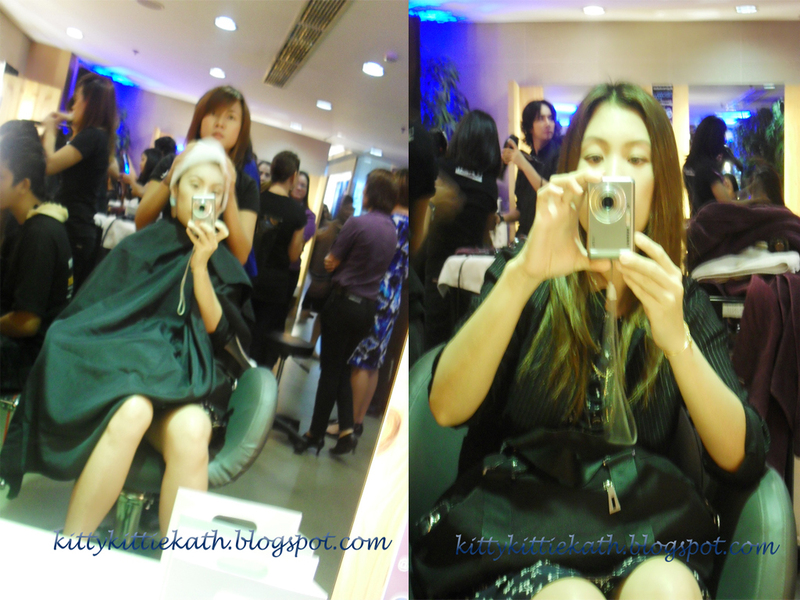 This tandem will make your hair smoother and healthier. So to those who veered away from traditional straightening and rebonding after the damage and trauma your hair experienced, don't lose hope, join the fight and give your hair a new life! 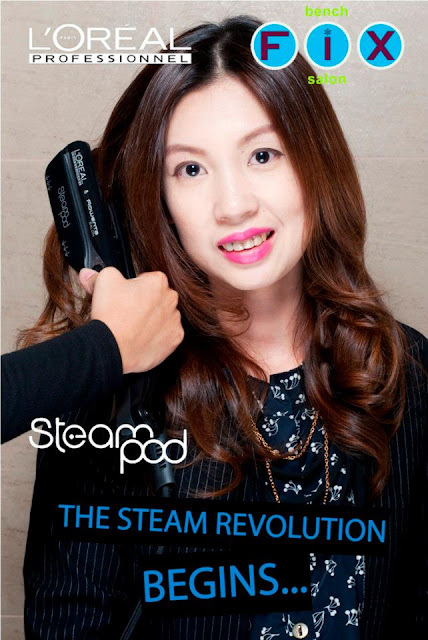 The first in our country :D STEAMPOD- hair ironing device with steam to protect the hair from damage while straightening. This is brought to us by L'Oreal Professionel in partnership with Rowenta Salon and the service at selected Bench Fix Salon branches. The event was hosted by Ms. Lia Cruz of Glamourbox. 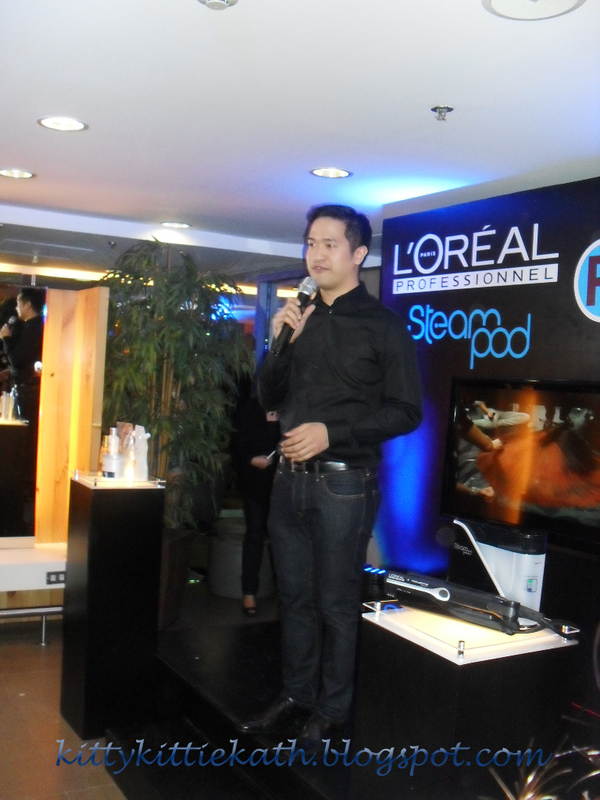 L'Oreal Professionnel Philippines gave us a glimpse on how this revolutionary tool started and why professional hair dressers around the world stressed the importance of Steampod in producing smoother and healthier hair in less time and damage than the traditional way of hair straightening. Mr. Gino Cruz, brand manager of L'Oreal Professionnel Philippines proudly announced this team-up with Bench Fix Salon in giving us the best and most advanced technique in salon industry. Together with Ms. Keti Maderazo of Bench Fix Salon, they explained the importance of this new invention and the proper use of hair treatment products to achieve beautiful and healthy hair without compromising its health. They also introduced the Steampod specialists who were trained by one of the country's top hairstylist, Mr. Alex Carbonell. These individuals are specialized with Steampod so rest assured that you hair is well-taken care of. Keratin Steam Bond or Keratin Steam Care? Thank you so much for these amazing products! Blowdry the ends to achieve the soft curl look and applied Mythic Oil for finishing. 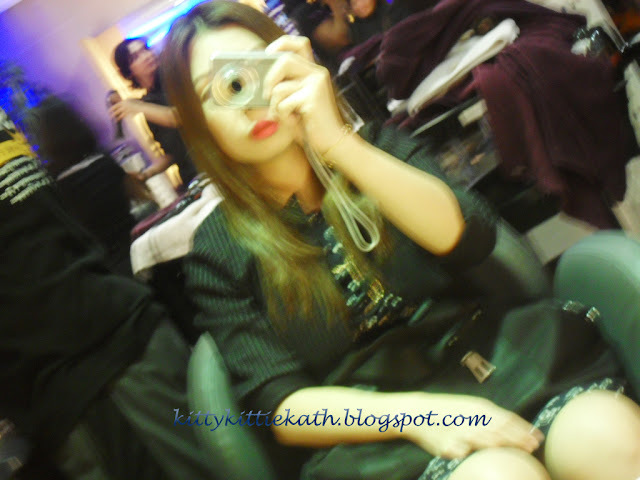 My lifeless and dull hair became livelier and shiny. The photo below showed that the color of my hair became more vibrant after the treatment and this mirror shine lasted for 3 days! 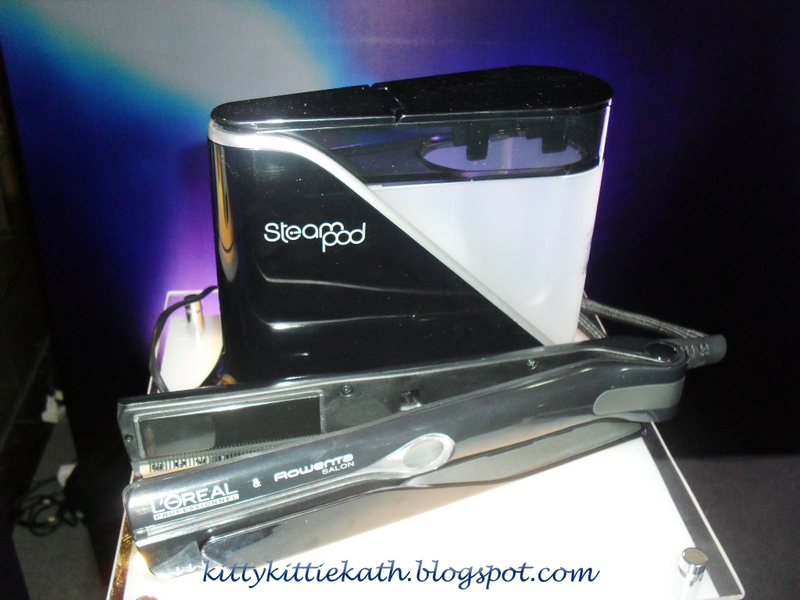 Now you can achieve smoother and healthier hair with L'Oreal Professionnel Steampod. Join the #hairrevolution and be part of the cause! You may also get the chance to win the #steampodIPADminigiveaway. @Sheela Marie Castillo- we do! many bloggers love the Steampod!